Day 80 was just a couple of hours really. It was the day after Boxing Day so didn’t count 100% as a working day. I carried on pulling the research material together into the first draft of the Joan Littlewood chapter. Then I had an urge, mid flow, to try to write the emblematic scene which opens each chapter, designed to capture the essence of the protagonist. In this case I opted for a scene from the performance of The Hostage at the Theatre Royal Stratford East in 1958. It’s based on my interview with actor Murray Melvin. It’s actually the bit of the interview where my recorder crapped up on me for the one and only time so far but luckily I wrote down the main points on the Central Line home from Stratford – just as well as I’d already forgotten the finer details which surprised me. Even though it’s only been a couple of months I forgot which play it is associated with and what Behan actually said. The first draft I wrote from memory. Then thought to check my record and now I’m fixing it this morning (Day 81). 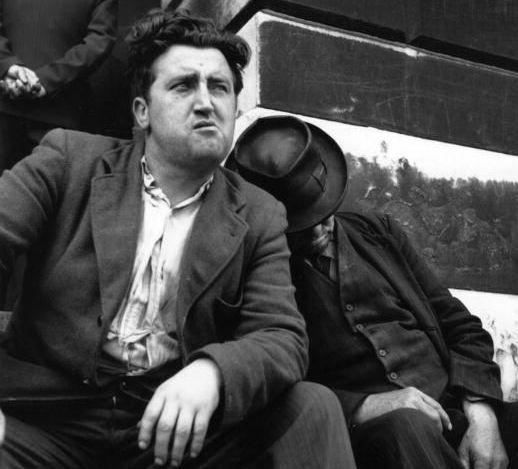 The point of the scene is that Brendan Behan regularly attended the production and had a habit of interrupting from the auditorium much to the delight of the audience. This meant the actors were put on edge which is something Littlewood liked as it kept the play fresh and alive during the run and underlined the participative nature of her theatre in that the audience, the actors, the writer and her as director all had significant contributions to make to make the play the best thing it could be. 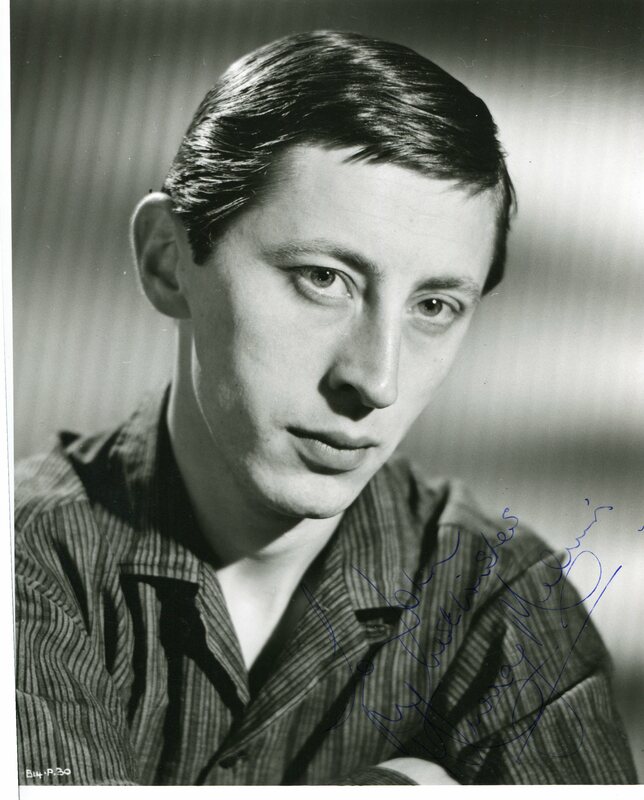 Headed East for the afternoon to meet actor Murray Melvin who was a key player in Joan Littlewood’s Theatre Workshop at the Theatre Royal Stratford East (TRSE). He was in the original and West End cast of Oh What a Lovely War in 1963 and played the hostage in Behan’s The Hostage. 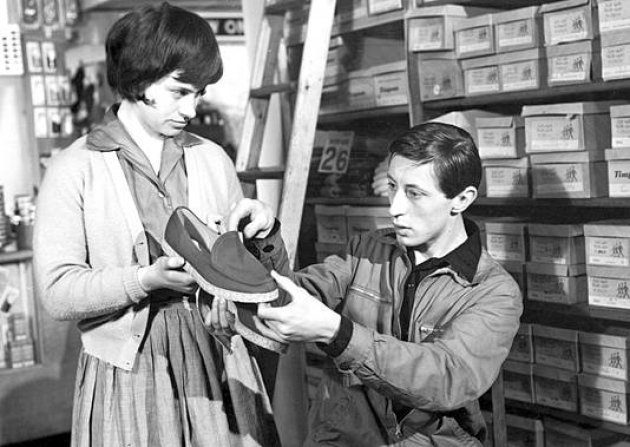 He started working with Joan in the late 50s when he was an office worker and untrained in acting beyond some am dram. He was born in Kentish Town (as was ArkAngel Productions) and he grew up in Hampstead High Street, when it was a very different place from what it is now. Joan spotted something in him and took him on. He now pays that back by maintaining and building her archive at TRSE and has done assiduously for 22 years. After the interview he was going to see the latest production so he can give his notes which the director appreciates, plenty of wisdom to tap into there. Murray brought me up to his room, a rich red den containing Joan’s library which he has rescued (it’s around a quarter of what it once was) and housed in specially made shelves also in TRSE red, that traditional theatrical red that goes with gilt. He emphasised that she was a voracious reader of broad range. The volume that jumped out at me was Alvin Toffler’s FutureShock which for me screams 70s – my mum had the US paperback edition on recommendation from some hippy-type, it may have been Pete, the lifeguard at the Thatched Barn swimming pool with the cool earring. That’s why she also has Trout Mask Replica among her records. We spoke for just under an hour in a free-flowing way (though hitting all the points/questions in my notes) about many aspects of Joan’s work from her attitude to community to her process of collaborative creation, from Brendan Behan to Shelagh Delaney, from her take on Ego to her relationship with Gerry Raffles, from the influence of European theatre to the fact you never touched her, she maintained a block of space around her. I hope to publish the interview in the online archive for this book. I’m on the Tube heading for home from Stratford. 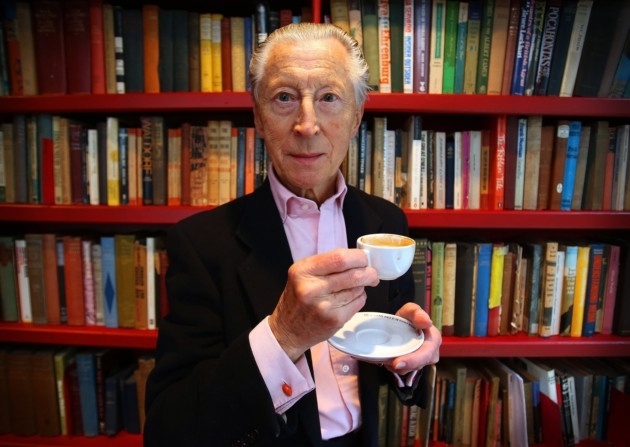 I’ve just been interviewing actor Murray Melvin at the Theatre Royal Stratford East, where he worked with Joan Littlewood. It was the first outing for my LiveScribe smart-pen as recommended by Jemima Kiss of The Guardian for interview recording. It performed fine but I ballsed up the last bit (5 mins) because of a technical mistake (you need to restart record mode when you change pages in the smart-notebook (it ain’t that smart). So I want to capture that last bit for posterity while it’s fresh in my mind as it was about Brendan Behan. 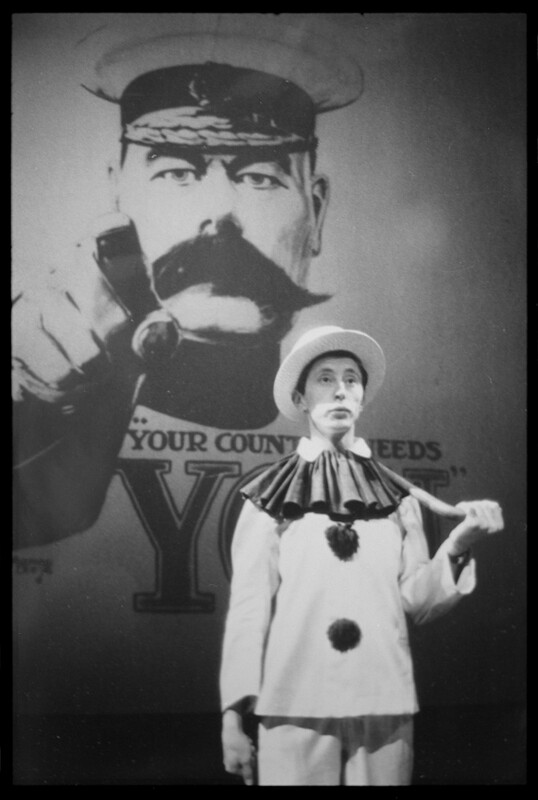 Murray played the hostage in the original TRSE production of the eponymous play. 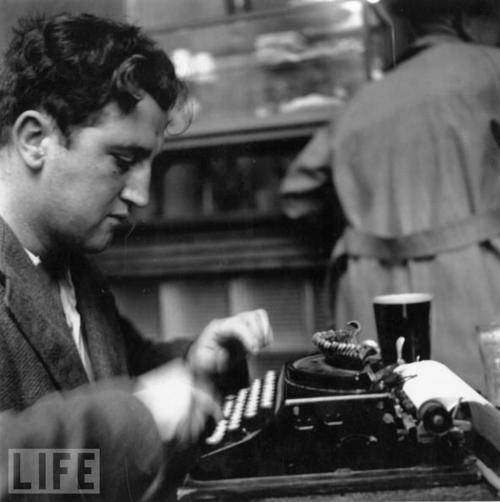 Most importantly he poopooed the notion that Joan wrote any of Behan’s stuff. 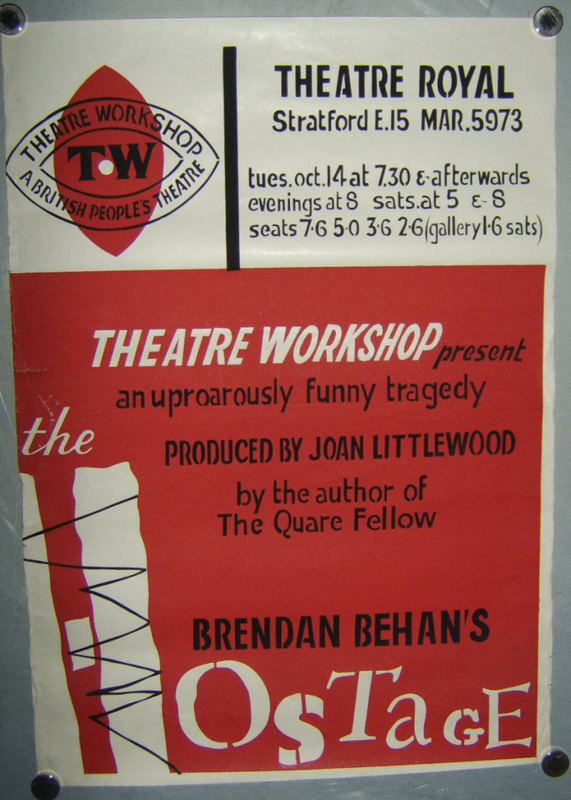 Behan habitually attended performances of The Hostage in Stratford and would get up mid-show in the auditorium to interject. For example, after a song: “I’ve written an extra verse for you.” The audience loved the disruption. So did Joan as it kept the actors on their toes and the performance fresh and alive. And the new verse would be even better than what was already in the script. Murray felt Joan loved the “destructive” nature of Behan’s character. In the same way that she was drawn to the destructive energy of the teenage boys hanging out in front of the Theatre with her encouragement. Murray emphasised that Behan was from a family of storytellers. He would regale the company with stories, prompted by Joan. “Tell us the one about…” He’d go on for three hours then notice the time. The bar’s open, he’s off. Then Joan would ask the assembled actors: “What did he say about your character?” and scribble down furiously the collective memory of what had been said. From that she’d spot the moments of real brilliance and extract from the 3 hours 3 minutes of pure gold. It had to be done. 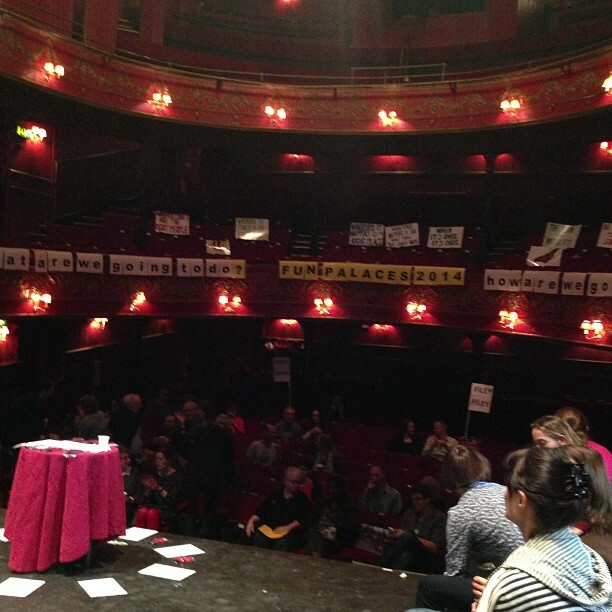 Sitting on the stage of the legendary Theatre Royal in Stratford East. MacBook Air close at hand. My theatre chapter notes on me. Half an hour to spare. 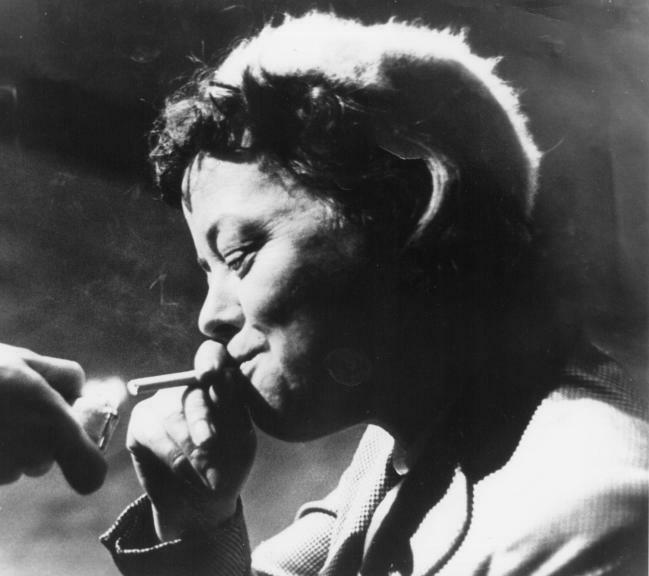 I began writing my chapter on Theatre starring Joan Littlewood and Joe Papp on the very boards where the Theatre Workshop was set up in East London by Joan and her partner Gerry Raffles and where ground-breaking shows like Oh What A Lovely War came into the world. I was there at the kind invitation of Stella Duffy, writer, novelist and performer, whom I first contacted after reading her Guardian blog about her project to revitalise and realise Joan and Cedric Price’s concept of the Fun Palace. She was running an Open Space to bring together all the potential partners in the 2014 project. 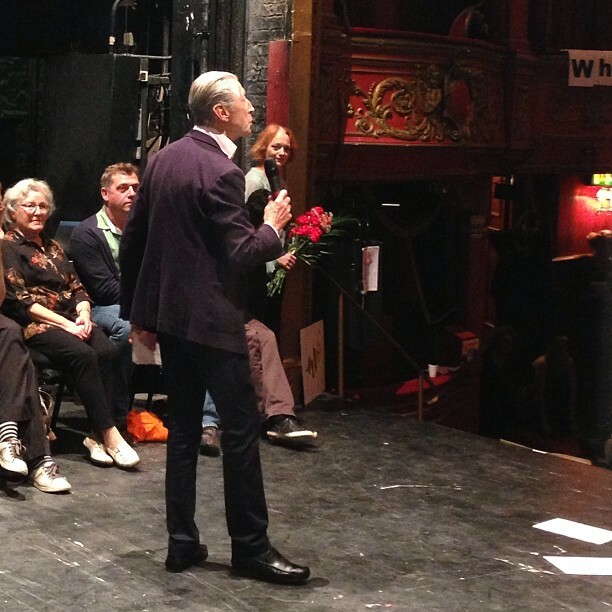 During the day I was privileged to meet a number of people who worked at this very theatre with Joan and collaborators both on and off stage including actor Murray Melvin and director Philip Hedley who kindly helped those gathered to understand where Joan and Cedric were coming from with their vision for Fun Palaces where theatre, arts and science could hang out together in the name of Fun and non-boring Learning. I was energised simply on arriving in Stratford as this was my first time back since the closing sporting events of the Paralympics and was charged with happy memories of ten days volunteering down at London 2012 in the Media Centre/Press Office of the Olympic Park. The theatre there is uniquely intimate, 450 seats but when you stand on the steeply raked stage every one of them seems within easy reach of your gaze and words. Acting has never really been my thing, I’ve always been happier behind the camera, but if I had to do it that’s a stage I’d like to give it my all from and the black bricks of the unusually deep stage (a depth created by acquiring the adjoining building at some opportunistic juncture) contain some essence of innovation and experiment which had me leave with fantasies of performing. On my way out I bumped into a fellow Gee (no relation) whose path I’ve crossed on Facebook, partly through the random coincidence that her daughter and my grandmother share the same less than commonplace name. Lisa Gee is a published writer of books and journalism and during our enjoyable outdoor chat beside the Theatre Royal box office (where I took the opportunity to pick up tickets for the 50th anniversary revival of Oh What a Lovely War early next year) she was kind enough to share some insights into the publishing side of things. Towards the end of the afternoon I had to head West again to attend a technical rehearsal in the bowels of Channel 4 for my Health Freaks commission which involves a live insert into a pre-recorded show which is technically tricky and needs split second timing. It was my first time back in C4 HQ since I started my sabbatical on 1st September. There were the best part of a dozen of us in the small edit suite ranging from presenter Dr Pixie McKenna through the production manager of the TV show to the colleague making up the on-screen graphics. That ‘cosiness’ drove home how much of a work of collaboration and teamwork this kind of creativity is – a perfect note to end a Joan day (it was her birthday yesterday so the anniversary had been marked on the stage at the start of the day with some red flowers presented by Stella before a projected photo of Joan sitting on bombsite rubble in front of the Theatre Royal) as Joan, for all her leadership, was a tireless advocate of creative collaboration and collective creation.